The fort, built in approximately AD 72-3 by members of the twentieth legion, was located on the main western road. The garrison at the fort would have overseen the foot and river traffic and maintained control of the surrounding area. It is often assumed that Roman forts were organized in a similar way, but Ribchester has an unusually large Vicus (the town just outside) and importantly was also a Veteranorum for retired solders (known as Bremetenacum Veteranorum). Ribchester has been subjected to many archaeological excavations over the centuries. The largest of these excavations took place in the late 19th and early 20th centuries, and identified aspects of the stone fort, some of which can still be seen today! Additionally, major excavations took place in the Vicus, in 1989, but the majority of the archaeological investigations have been small. Ribchester Revisited aims to explore the evolving use of the interior of the fort and its changing relationship with the Vicus. 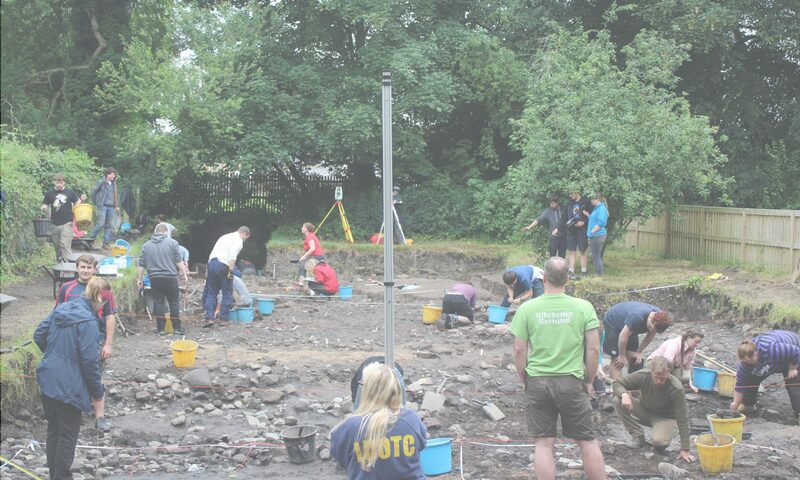 In order to do this we have undertaken new and substantial excavations in the northern part of the fort, which began in 2015 and are still ongoing. 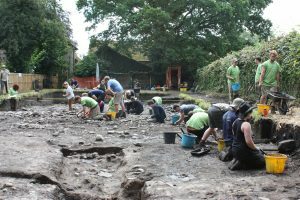 We also aim to synthesise and re-examine previous archives to gain a better understanding of this unique and important site.